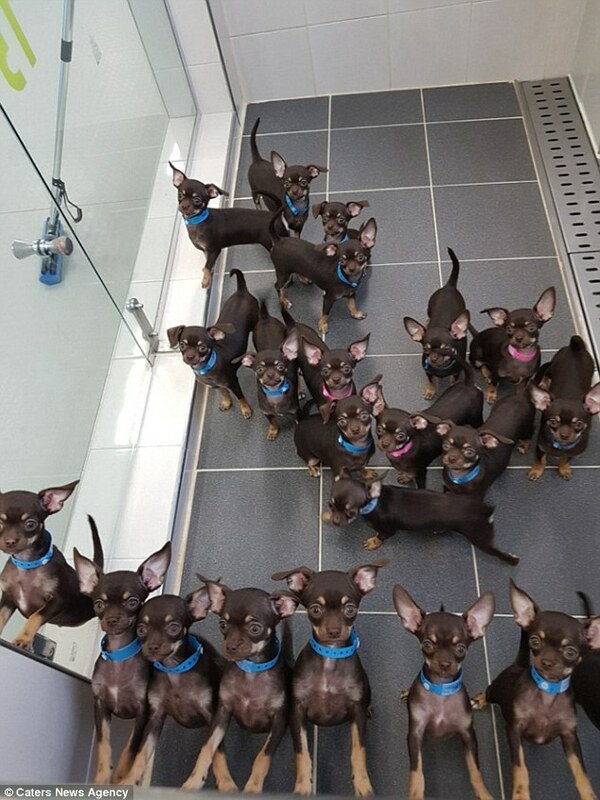 The smallest dog on the planet has been cloned a record-breaking 49 times – making her a two-time world record holder. 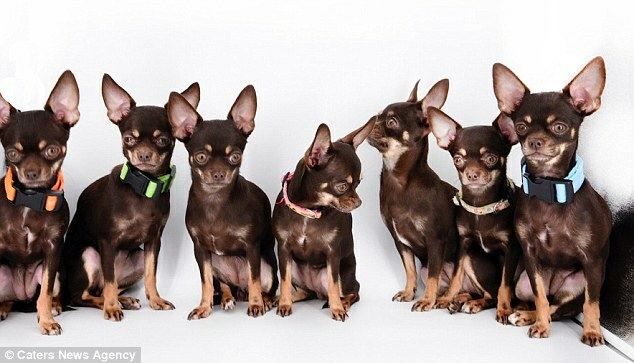 Scientists have created 49 genetically-identical dogs based on genes from the tiny Chihuahua, known as 'Miracle Milly'. 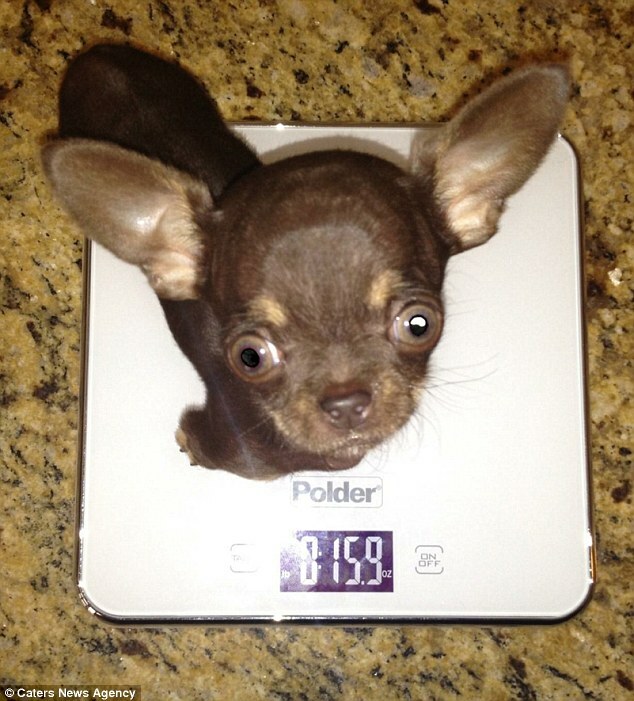 The six-year-old pup was replicated by scientists hoping to unearth the genetic code behind her tiny stature. 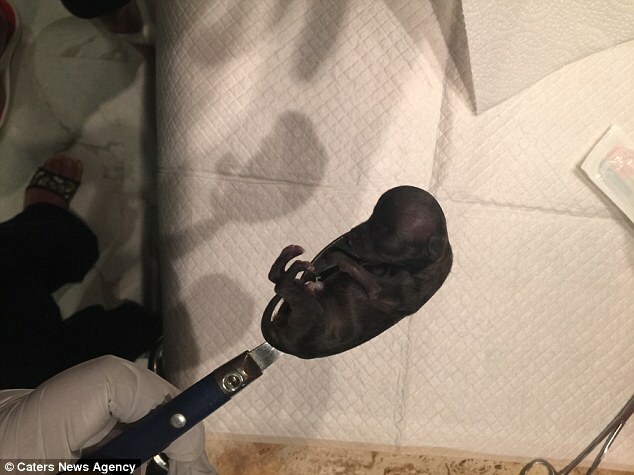 'Miracle Milly' purportedly weighed less than an ounce at birth, and could curl up inside the head of a teaspoon, leading vets to speculate she would not survive. 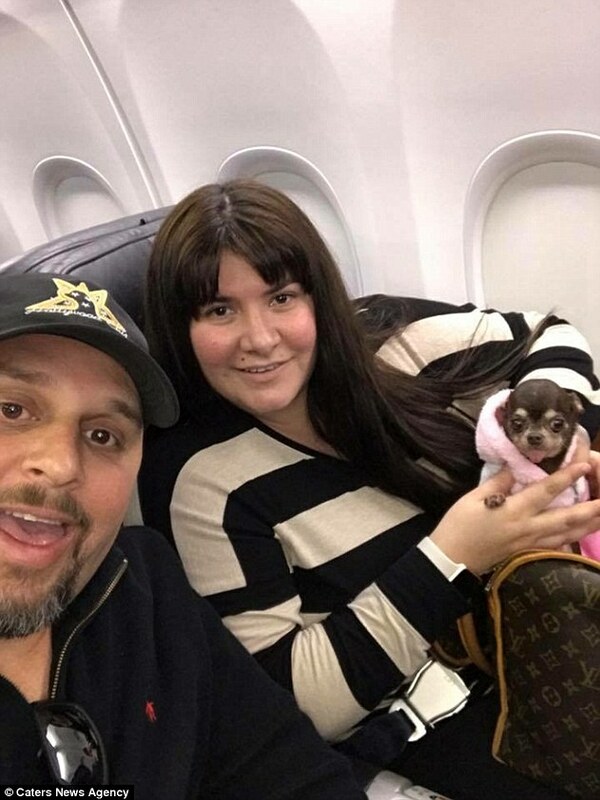 However, the tiny dog has gone on to thrive, thanks to loving mum Vanesa Semler, 38, of Kissimmee, Florida, who fed the puppy every two hours using an eyedropper. 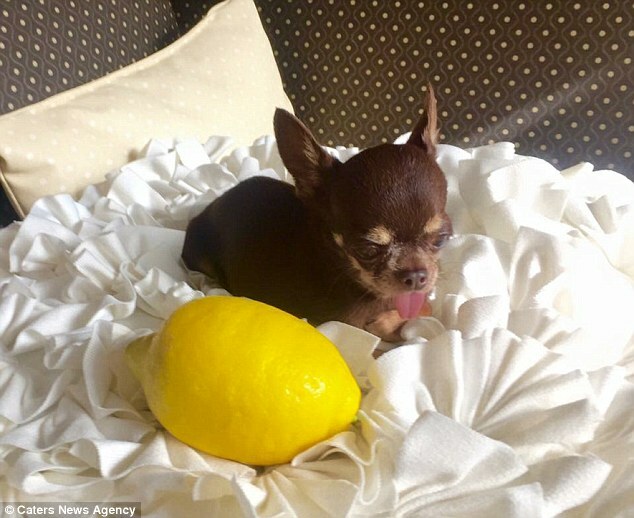 Since 2012, Miracle Milly was awarded the Guinness World Record for Smallest Living Dog, standing at less than 10cm (3.8in) tall and weighing just over a pound – the same as a large apple. Her minuscule measurements led to worldwide adoration. 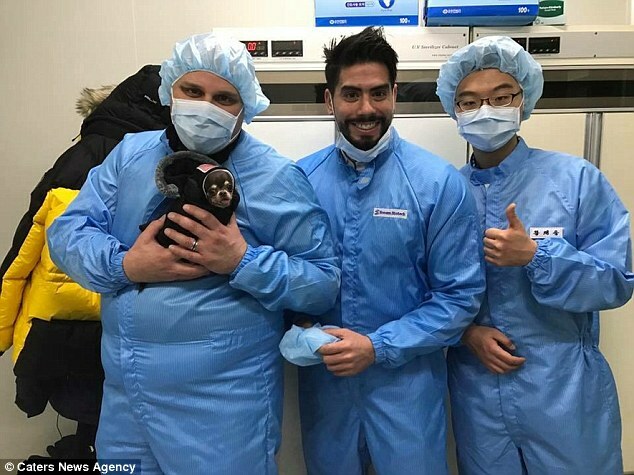 Researchers at the Sooam Biotech Research Foundation in Seoul, Korea approached Ms Semler to clone the dog to try and determine the genetic code behind her size. To carry this out, scientists extracted cells from Milly and used the nucleus, which holds her genetic information, which was then transplanted to a donor egg cell. From there, the developing embryo was placed into a surrogate mother who would give birth to the pups – in a process similar to the 1996 Dolly the sheep experiment. In August last year, the first litter of Milly's clones were born. All 12 of the doggie doppelgangers now live with the Semler family, who have named the Milly clones: Molly, Mally, Melly, Molly, Mumu, Mila, Mary, Mimi, Moni, Mini, Mela and Mulan. According to their owners, the pups have exactly the same personalities and looks, however, some are slightly bigger than Miracle Milly. 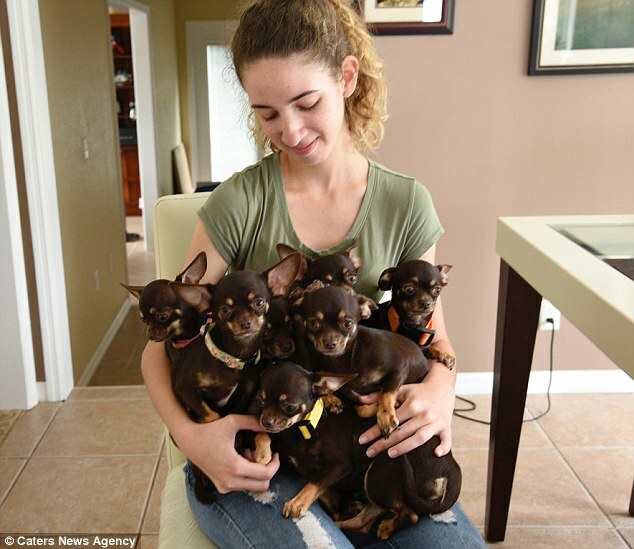 Last month, the family received the accolade for 'Most Cloned Dog' by The Academy Of World Records. 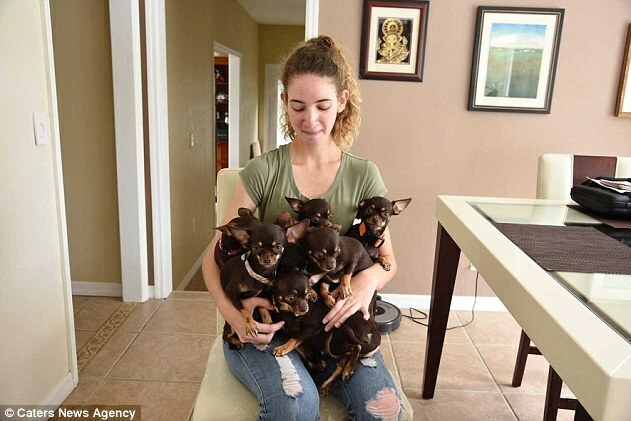 Mr Semler, who works as a Chihuahua breeder, said: 'Miracle Milly is the actual World Record Holder for the Smallest Living dog from 2012-2018 and now she's the most cloned dog with more than 49 clones. 'The original idea was to make ten clones in total, nine for research and one for us, but they decided to clone her more times. 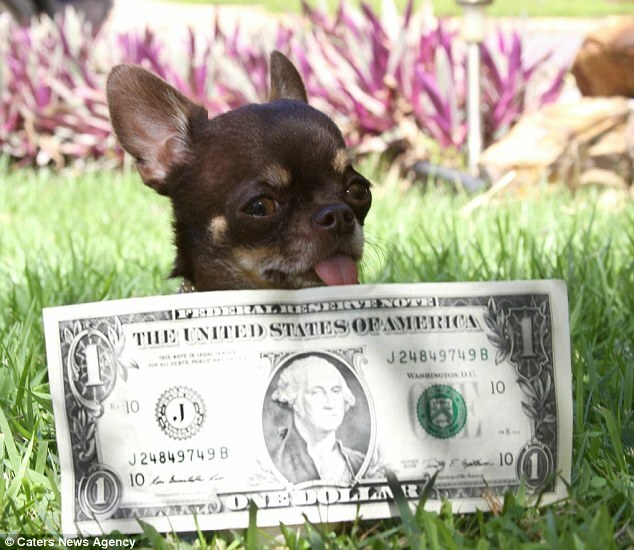 'She was chosen for being the smallest dog in the world. They want to find out why she was so small and then study her genes to find out what makes her so tiny. 'It's amazing to be around all of her clones, they are so smart, very playful like Milly and have really similar personalities. We love them, they are all our babies. But it's a lot of hard work having 12 clones of Milly. 'The clones all look like her, but they aren't her, they are slightly different in size. When Milly was born in Dorado, Puerto Rico, in 2011, she was so tiny it was thought she wouldn't survive. Fortunately, doting mum Ms Semler would feed her milk every two hours with an eyedropper to ensure she survived. While they knew the family was small, it was only while watching a news report that they realised Milly was a contender for the World Record. 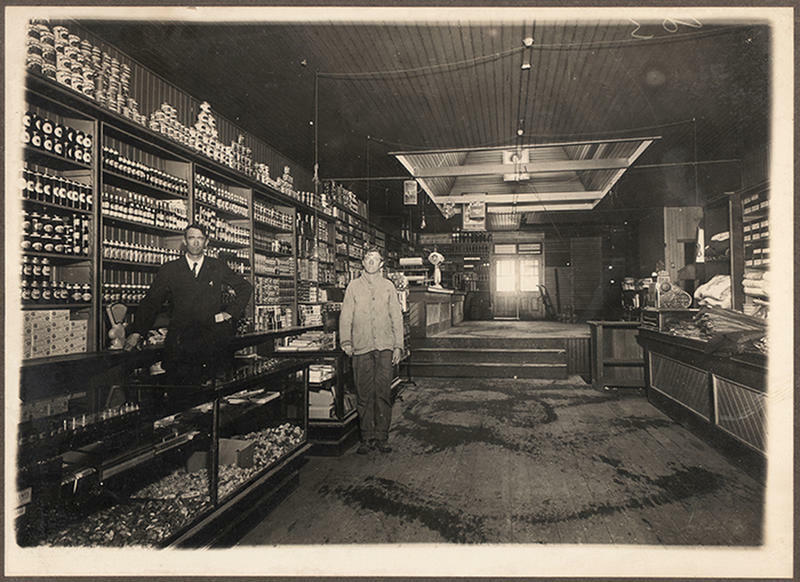 Ms Semler said: 'She was really small and was so tiny she could fit onto a teaspoon. Since then, she's become an internet sensation, with several trips internationally and more than 300,000 followers online. Ms Semler said: 'She travels around the world for shows and everything else, she's been to China, Thailand, everywhere. One standout feature is her personality, according to Ms Semler, who believes Miracle Milly does not know she is a dog. Ms Semler added: 'We believe she has no idea she is a dog, because she never barks and only cries when she wants something. She is like our baby child. 'She only eats fresh chicken and salmon, she tells me if she doesn't like anything by not eating it. You have to change her food to whatever she wants, everyday it's something different. 'We call her a diva because while being filmed, when she was hungry she would turn her back on the camera and start crying. Despite her diminutive appearance, Milly miraculously has no health problems and has managed to stay out of harm's way. Ms Semler added: 'At first her getting hurt was my biggest concern, but the longer she has lived the less I worry. Soaam Biotech Research Foundation is a biotech lab offering people the chance to clone their pets for £75,600 ($100,000) - even able to extract cells from dead pets. David Kim, from the Soaam, said: 'We will be working together with the Director as well as four specialists from the world renown Beijing Genomics Institute (BGI) as well as other collaborating scientists to characterize the genetic and epi-genetic factors of the of the cloned Milly and the original Milly.